I admit that, even though I fangirled over The Jewel for several months after finishing it (heck, even before I actually read it – have you seen that cover?? ), I didn’t think the second book would be nearly as good (jaded reader, party of one). But you know what? 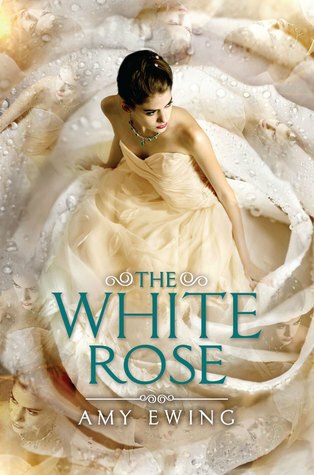 The White Rose was awesome and I take back all of the judgy, negative feels I had about it. It started out with a bang and didn’t really let up until the end. Great pacing aside, I loved the half-dozen amazing things I learned in this book about the characters, the city, the magic… I could go on, but suffice to say it was basically one big revelation after another as many of my questions were answered (and were inevitably replaced by several much more desperate ones). So I’m basically torn between happiness and how much I liked The White Rose and FREAKING OUT that I have to wait another year to find out what happens next (seriously, why does this always happen to me? ::sobs::). Okay, I’m done being a baby (mostly), but it’s worth noting that I think The Lone City series is totally worth the wait. I found everything about The Jewel a mite unexpected. The love interest was fantastically unconventional, all of the characters showed duality, the subject matter was slightly more serious than a typical YA, and the plot never followed the route I thought it would. All of these elements were delightful twists that made the book stand out that much more. And the best thing is, all of these things are still true about The White Rose. I still don’t know where the story is going (even though I have several speculations), and in a world of predictable YA storytelling, that’s an exciting thing! I have really enjoyed this series also. Great comments!